Here you will find bargain priced fabric. Most of the remnant fabric is in perfect condition, however, some of the fabric may have very minor flaws. 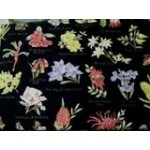 The flaws will always be stated in the item description and this fabric cannot be returned or exchanged.